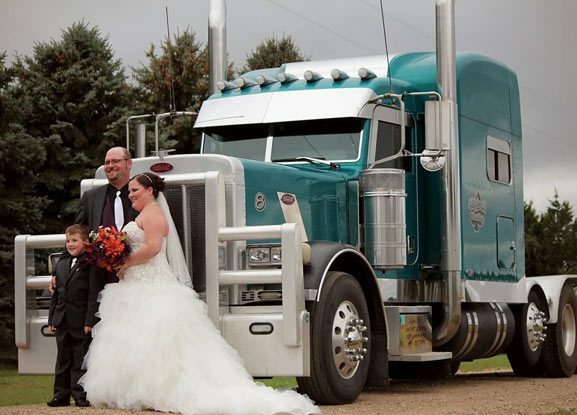 Prorate Services, Inc. is South Dakota’s trusted source for assistance with trucking compliance. We offer our clients a wide variety of specialized services, including drug and alcohol testing, consulting, tax preparation and more to keep the activities of trucking companies and their drivers within industry regulations. Being a freight provider is about more than having a fleet of trucks and reliable drivers. A cornerstone of reputability and legal operation is proper licensing and compliance. At Prorate Services, Inc., we help our clients identify areas of compliance and achieve them, so they can continue hitting the road. We specialize in FMCSA, DOT and IFTA compliance and licensing for small and large trucking companies alike across South Dakota. Nothing is more important out on the road than safety. The safety of truckers, freight of customers and other drivers out on the road are all paramount concerns. At Prorate Services, Inc., we understand this completely, which is why we help make sure your freight company is fully up-to-date with FMCSA compliance in South Dakota. Federal Motor Carrier Safety Administration (FMCSA) standards are in place to assure the safety of long-haul and freight truckers, to protect them from unsafe working conditions. This includes everything from truck maintenance to drivable hours and beyond. We help you stay within FMCSA compliance to reduce the risk of accidents, fatalities and other costly setbacks that can occur on the road. In addition to FMCSA compliance, adhering to Department of Transportation (DOT) standards is essential. DOT compliance in South Dakota means keeping exceptional records, enrolling or creating in a vehicle maintenance program, properly marking vehicles and more. Staying abreast of these compliance items will keep your company on the level with the DOT. Also critical in maintaining DOT compliance is adhering to CDL and drug and alcohol checklists set forth by the DOT. Prorate Services, Inc. will help you understand the scope of these checklists and develop processes that keep you compliant within them. If you’re a company that does business across state and country lines, International Fuel Tax Agreement (IFTA) licensing is necessary. IFTA mandates span all 48 contiguous states and 10 Canadian provinces, standardizing fuel tax costs as your drivers transport freight across the continent. Prorate Services, Inc. helps long-haul companies stay in accordance with IFTA licensing in South Dakota and keeps you in good standing as your drivers traverse the country. For more information about the many licensing bodies we help you stay accredited within or to inquire about compliance standards, please contact us today at 605-395-6546. We’ll be happy to assist you in maintaining your reputability as a responsible freight provider. Prorate Services, Inc. provides South Dakota trucking companies with a dependable and trusted resource for all of their compliance needs. We support our clients with a wide array of services designed to alleviate the burden of keeping your trucking company within national and state legal parameters. As a member of both the North American Transportation Services Association and the South Dakota Trucking Association, our business is astutely aware of the latest trucking policies and regulations. We use our keen industry knowledge to serve your company and uphold the highest standards of compliance. We provide our clients with a wide range of services to help ensure company compliance and safety. Our business is a proud member of multiple professional organizations and has a deep knowledge of industry policy. 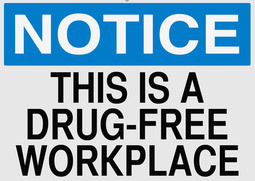 We are a drug and alcohol consortium in South Dakota that is able to provide timely test results to employers. Our business effectively manages trucking company compliance, which helps to diminish stress levels of busy clients. We provide full-service consulting offerings, and can oversee all areas of compliance from truck driver qualification to tax filings and more. "THEY ARE GREAT PEOPLE TO WORK WITH . THEY GIVE FAST KNOWLEDGEABLE SERVICE, AND THEY GO THE EXTRA MILE FOR YOU." "The best people I ever work with. Their service are fast/ easy / and very friendly. Everyone there will serve you right. Thank you all. " "The crew at Prorate Services are friendly and knowledgeable! Superior Reliable Service! Experts in their field! Special shout out to Aman..."
""Prorate Services are wonderful to work with and it is so nice to have Don keeping us current with what we need and when we need it! Takes t..."
"Hey thanks for making my life easier your service is second to none, KRISTIE AND DON THANKS"
Get to know more about our extensive compliance and drug testing offerings by contacting Prorate Services, Inc today.